Left to right: Faye Coble, Lincoln County; Carole Willis, Coffee County; Lou Nave (State Vice-Chairman), Cannon County; Brenda Baker (State Chairman), Obion County; Gloria Larrance, Jefferson County; Crystal Norwood, Henry County. 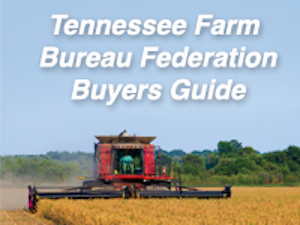 Use the following form to list the members of your county Farm Bureau Women’s organization. My name is Brenda (Tanner) Baker. My husband, Sam and I have been married for almost 60 years. We have four children; Marcia, Jenifer, Carol and Robbie, and seven grandchildren. I am one of the lucky women who has never had to work off the farm. I was a stay-at-home mother and farm wife. I do all the bookkeeping for the farming operations and was very involved with the poultry operation until its sale in 2010. We have 2000 acres of row crops consisting of corn and soybeans. 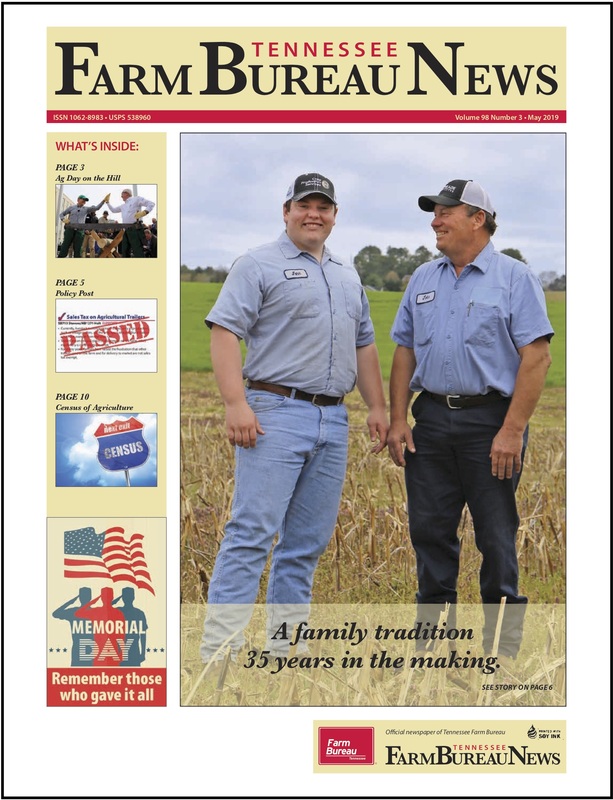 Sam and his brother, O’Neil Baker, comprise Baker Brothers Farms. Our son, Robbie, is hoping to farm full-time in the future. After my family, farm and church, my loves are the Farm Bureau, the Obion County Public Library and the Obion County Fair. I have enjoyed serving as the Obion County Women’s Chair and now as the state chairman, my horizons have broadened. Farm Bureau first sparked my interest in public affairs and local politics. I have learned so much through Farm Bureau that I would not have had the opportunity to learn otherwise. I have been a member of the Board of Trustees for the OCPL for over 20 years and now serve as Chair. One of my proudest accomplishments is helping build the new $6,000,000 building. My other love is the Obion County Fair. I have served as Fair president for the past 19 years. During that time the Fair has grown and won several state awards. I also serve as the Election Officer during elections for the Obion precinct. The things I do just purely for my own enjoyment are read (Sam says I have as many books as the Library), knit and crochet, take pictures and scrapbook, and collect the Department 56 North Pole Village. I love the farm and I am so glad that we had the opportunity to raise our family here. I don’t think there is a better way of life or a better place to live it than in Tennessee. My husband Grant and I farm over 3,000 acres with his parents in Henry and Carroll Counties. We live in Mansfield with our three children; Karamaneh, Caleb and Lauren. Our operation is a 100% no-till row crop operation consisting of yellow corn, soybeans and winter wheat. We also sow cover crops in the fall to protect our highly erodible ground and build organic matter in our soils. My husband is a 5th generation Henry County farmer; we farm the same land that his family settled on in 1894. I worked off the farm for a few years as an EMT-IV. Since having children, I have stayed home with our children and to work on the farm full-time. I am in charge of all bookkeeping for our operation. Our children are very active in sports, American Heritage Girls, Trail Life Boys and church activities. Our family attends Sulphur Well Church of Christ. I have been active in Young Farmers & Ranchers and Farm Bureau Women since 2000. I have held several offices in our YF&R group and Women’s Committee. I have also been on our County Farm Bureau board for several years and currently sit on our County Executive Committee. We have been able to travel with Farm Bureau to several conventions, educational tours and legislative trips. It has allowed us to meet farmers not just across our state but the country. These organizations are near and dear to my heart, as we have met many of our dearest friends through Farm Bureau. Faye and her husband Phillip live in rural Lincoln County near Fayetteville and close to the state line. We own 185 acres, part of which is his family farm. We raised three sons on this land with beef cattle and a custom hay operation. We are both involved in forestry. Phillip as a custom logger, harvesting timber for landowners and myself as an office assistant in a sawmill in Elora. Our sons, the late Chris, Jeff and Justin along with their lovely wives, have blessed us with 8 grandchildren – 7 boys and I girl, and one great grandson. Needless to say, we enjoy a lively time with all of them. Jeff is the Ag manager for a large farm in Lincoln County and Justin has joined his Dad in the logging business. We attend church at Coldwater United Methodist. We have served on our county board since the late 1970’s. I have served as women’s chair since 1988 and on the state women’s leadership committee since 2006. Farm Bureau volunteer work has given me many hours of enjoyment. Working with the other members in sharing our Ag story is vital to our industry and our way of life. I am also involved in FCE in our county. My relaxation time is spent reading, cooking and trying new recipes, and crocheting. Bob and I live in Hilllsboro at the foot of Monteagle Mt.. He and his son Don farm the traditional crops, corn, soybeans and wheat. Also they manage several dairy replacement herds and a couple or hundred beef cattle. Together we have 4 children and 8 grandchildren from ages 13 to 27. Wish we had more time for them—they are growing up fast. I have spent all my life in schools—the past 47 years either teaching elementary students or as I’m currently doing—supervising student teachers in about 3 counties. My hobbies (which I don’t have enough time for) include reading especially anything to do with history or historical fiction, drawing and painting and quilting. In my spare time, I’m a consultant for Ag In The Classroom, serve on the Coffee Co. Planning Commission, our Hillsboro Homecoming Assoc., WMU Director, and teach my Sunday School class. Lou Nave is the Executive Director of the Farm Animal Care Coalition of Tennessee (FACCT). She is a native of Cannon County and a sixth generation livestock producer. She holds a BS degree from Middle Tennessee State University with a major in Animal Science. 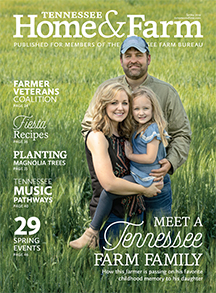 Lou, her husband Glenn and daughters Hannah and Emily raise commercial beef cattle, Tennessee Walking Horses and sheep on a 320 acre rolling hill farm that has been in her family for over 150 years. Lou has been involved in agriculture her entire life. Lou has worked with the Tennessee Department of Agriculture, Virginia Department of Agriculture, Tennessee Walking Horse Breeders’ and Exhibitors’ Association, MTSU Alumni Relations Office and as a public school teacher. Lou serves on the Cannon County Farm Bureau Board of Directors, the Cannon County Cattlemen’s Association Board of Directors, Cannon County Rescue Squad Board of Directors and the Board of Directors for the Arts Center of Cannon County. She chairs the Cannon County Farm Bureau Women’s Leadership Committee and the Tennessee Equine Advisory Committee. Lou is a member of the Rutherford Farmer’s Cooperative, Tennessee Cattlemen’s Association and the National FFA. The Farm Animal Care Coalition of Tennessee is a nonprofit organization serving Tennessee’s livestock industry as a resource for science based information. 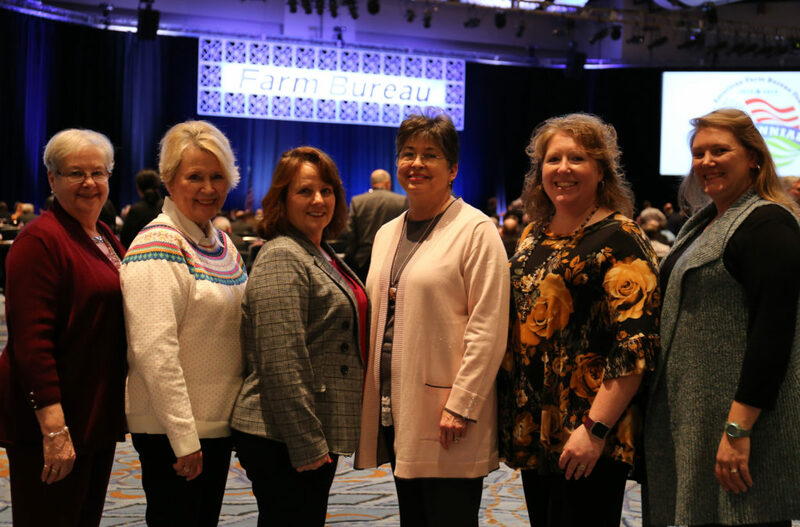 FACCT represents a unified voice for humane animal care and well-being issues and best management practices in Tennessee agriculture, and is proactive in education for producers, consumers, and policy makers. Nick and I live in New Market in Jefferson County. We have three boys, Beau, Nate and Drew. We are active members of New Market Baptist Church where Nick and I have attended our entire lives. I am a Certified Public Accountant and work for Duane Cline, CPA, LLC in Morristown. I am also the part-time City Recorder for New Market City. I have been the Jefferson County Women’s Leadership Chairperson for the last 10 years and plan and coordinate our annual farm day and other activities within our county. I was raised on a dairy farm in Jefferson City with my parents and three siblings. I was responsible for the milking duties. We live on a small farm in the Rocky Valley Community where we primarily raise beef cattle and hay. Agriculture is a very important part of my life and I enjoy every opportunity to spread the word about the benefits of being able to feed the world safe, affordable food.